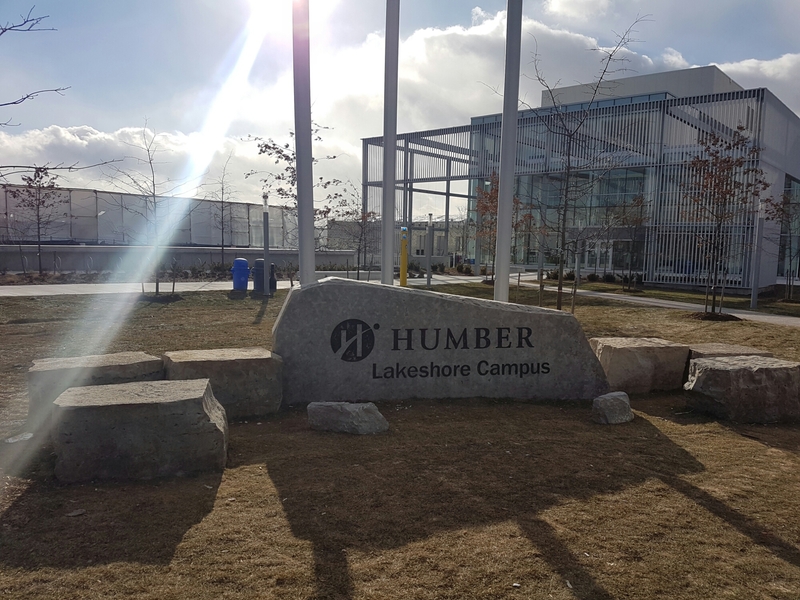 Near the western terminus of the 501 streetcar line at the foot of Kipling Avenue is Humber College’s Lakeshore Campus Welcome Centre. 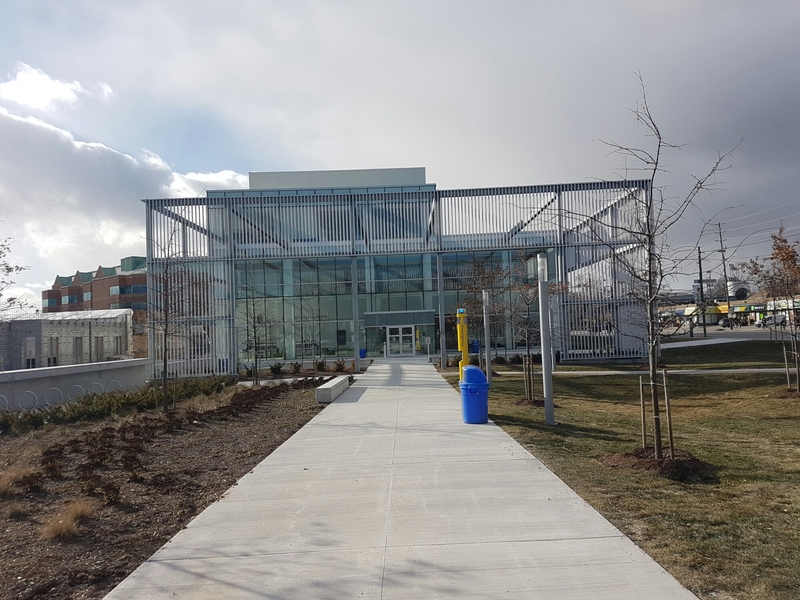 The LEED Silver certified building, completed in 2016, is a Moriyama and Teshima design, and the latest addition to an institution that dates back several decades and an overall area that’s even centuries older. 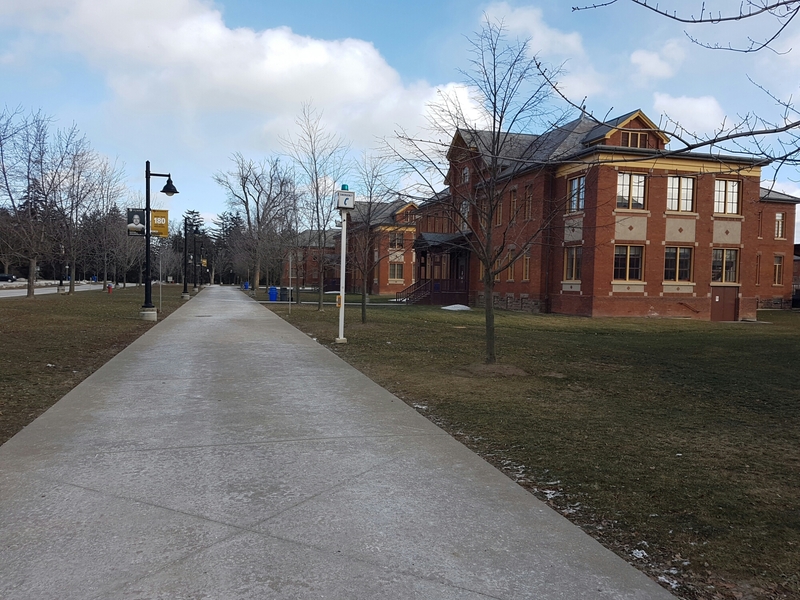 Indeed, while students have been frequenting Humber since 1991, the built and natural environment certainly predate this current era. 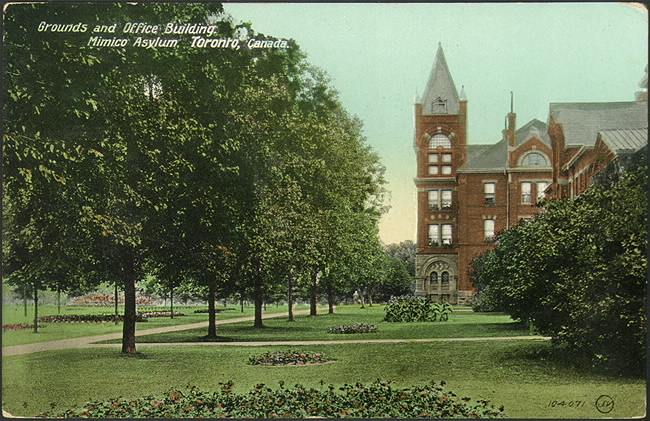 Its historical incarnations: an aboriginal meeting point, land later ‘granted’ to Colonel Samuel Smith (the namesake of its waterfront park), and most famously as the Lakeshore Psychiatric Hospital. 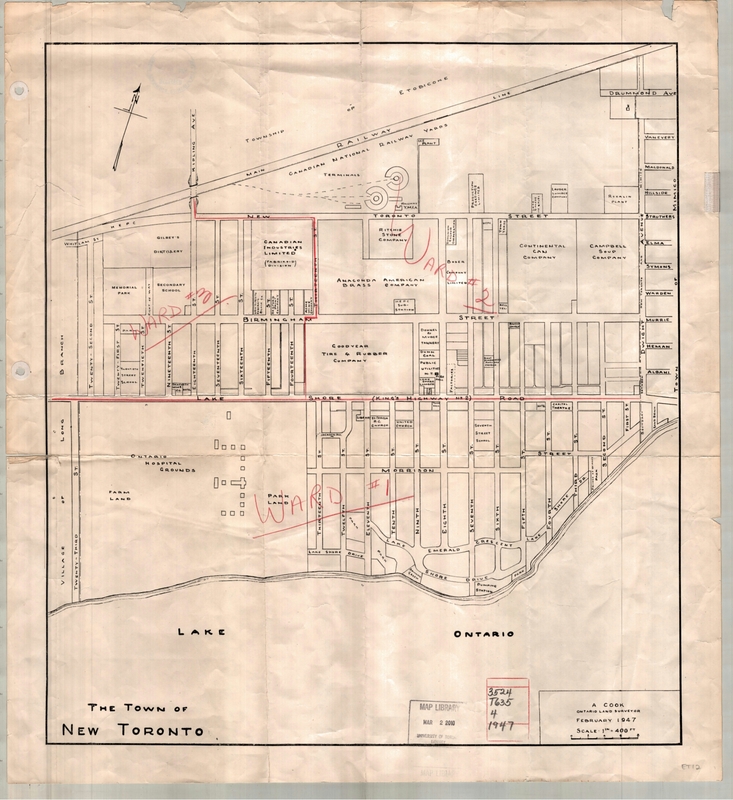 The Town of New Toronto, 1947. Source: University of Toronto Map and Data Library. Across from the Welcome Centre is another introduction of sorts to the history of the place. 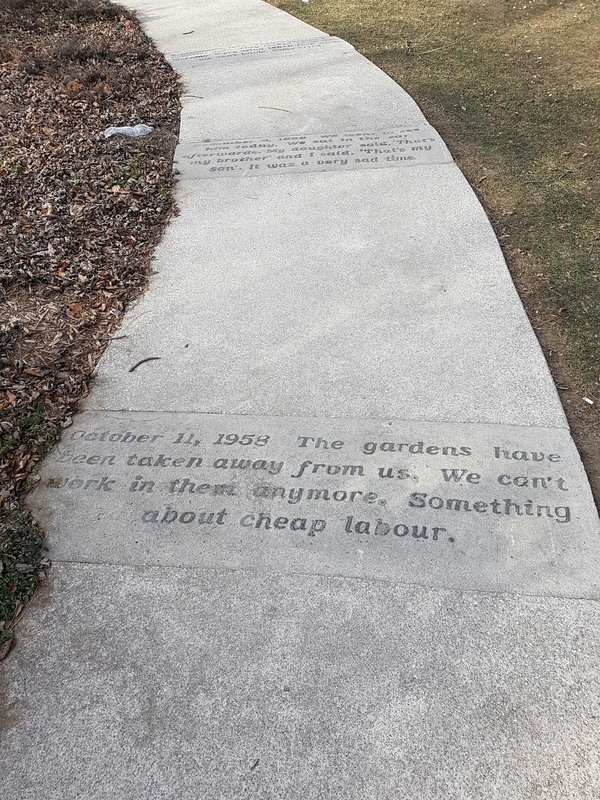 On the walkway leading to the hospital’s former Assembly Hall, itself incorporating a glass addition, are messages etched in the sidewalk. 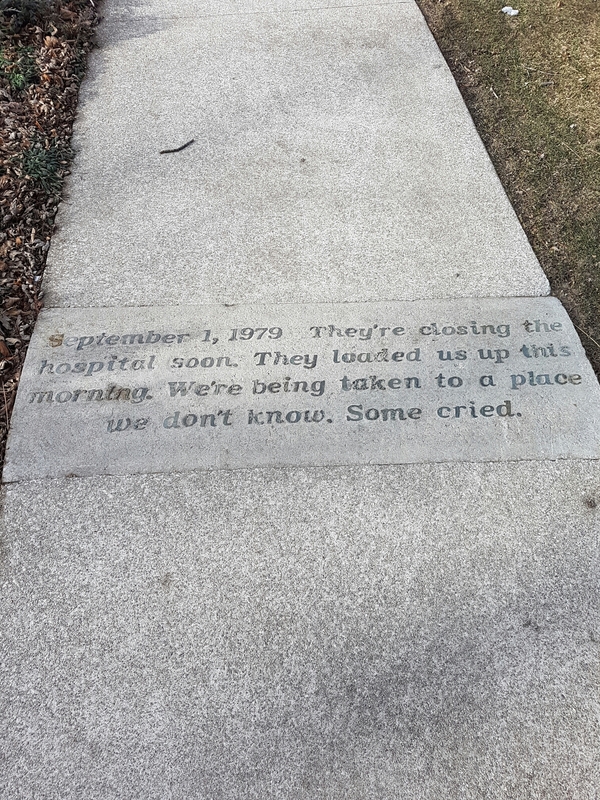 The quotes, presumably from patients, date to as late as 1979 (when the hospital closed), and make for a nice yet sad exercise in telling the stories of this lost locale. More on that later. 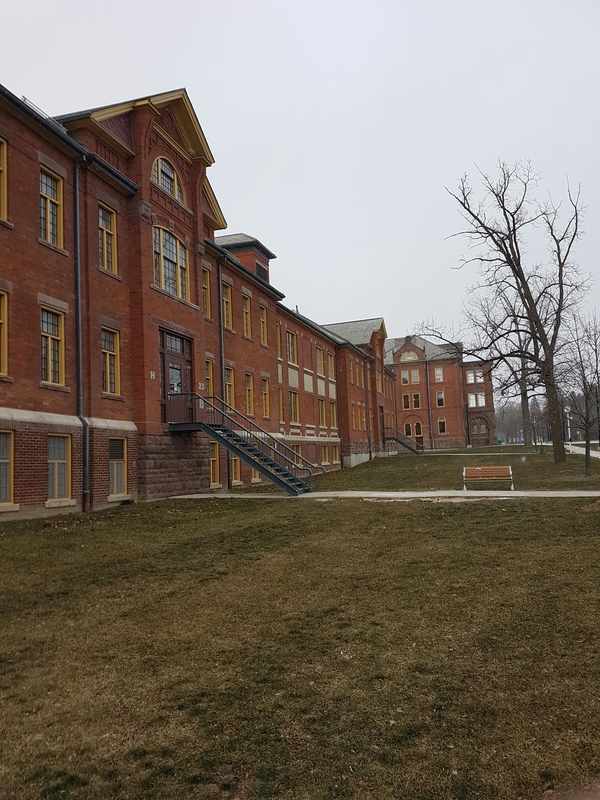 A tour through the campus is a look into how this old asylum was re-adapted into a learning institution – even down to the old stables/garbage, now a Tim Horton’s. The main part of the campus though consists of the Lakeshore Hospital’s majestic administrative building and the defining cottages which flank it. They now host classes. 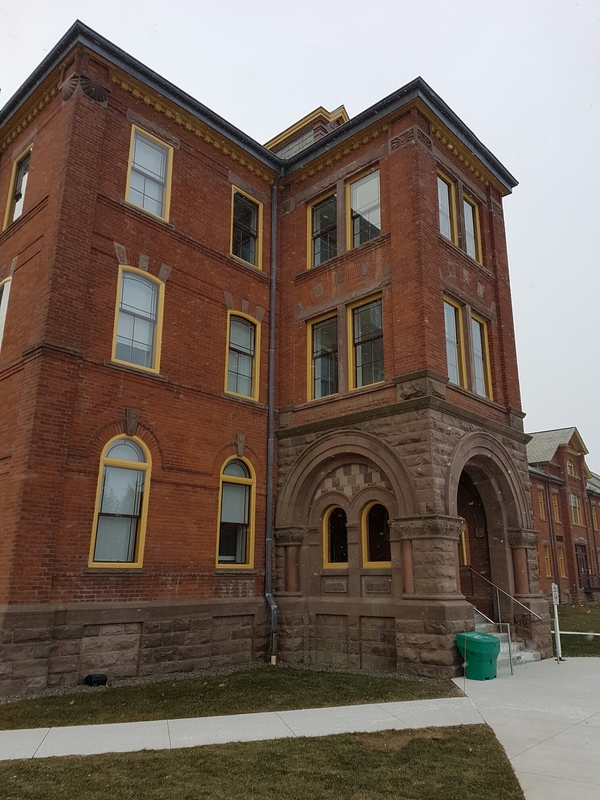 These buildings were erected as early as the 1890s when they were a part of the Mimico Branch Asylum, the successor to the Provincial Lunatic Asylum in Toronto (now the site of CAMH). 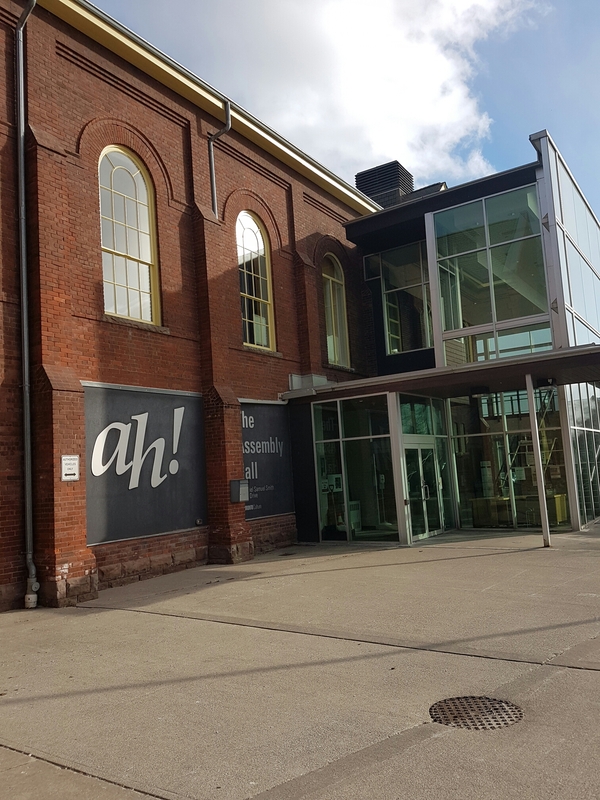 Since then it has appeared in maps and records as the Mimico Asylum (or simply the Asylum), the ‘Lakeside Sanatorium’ (albeit, never officially taking on the title), and the ‘Ontario Hospital’, perhaps reflecting shifting attitudes towards mental health. 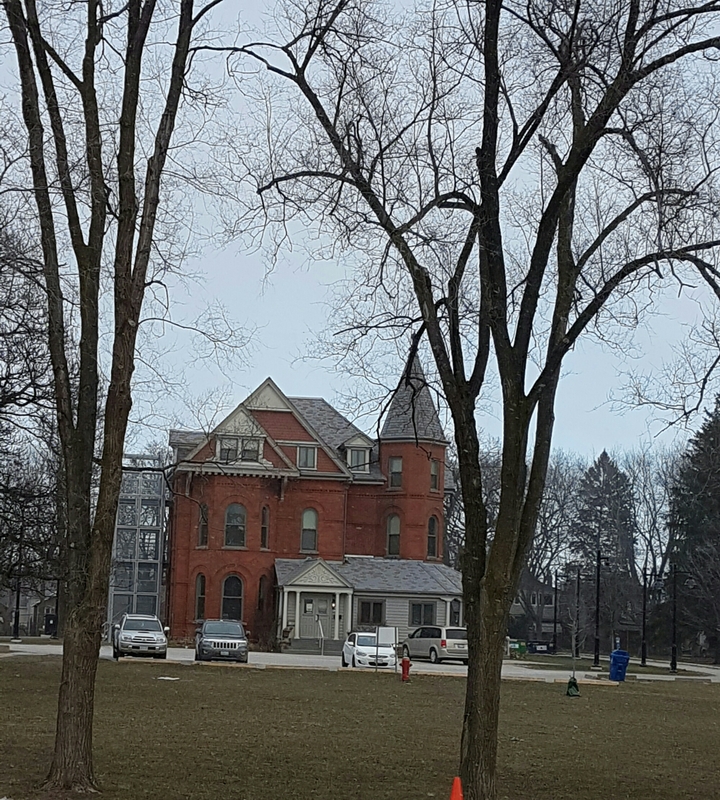 The last naming change to the Lakeshore Psychiatric Hospital took place in 1964 – quite recent. 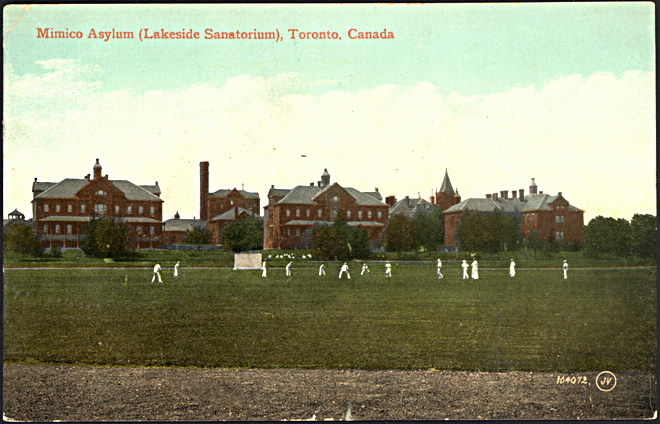 Mimico Asylum (Lakeside Sanatorium), Toronto, Canada, 1910. Source: Toronto Public Library. Grounds and Office Building. Mimico Asylum, Toronto, Canada. Source: Toronto Public Library. Beyond the main hospital/school buildings, the campus boasts at least two other connected heritage buildings. The Cumberland House, a beautifully restored Victorian residence, once housed the Asylum’s superintendent. Now it’s home to Jean Tweed Centre, which only continues the property’s association with mental health. 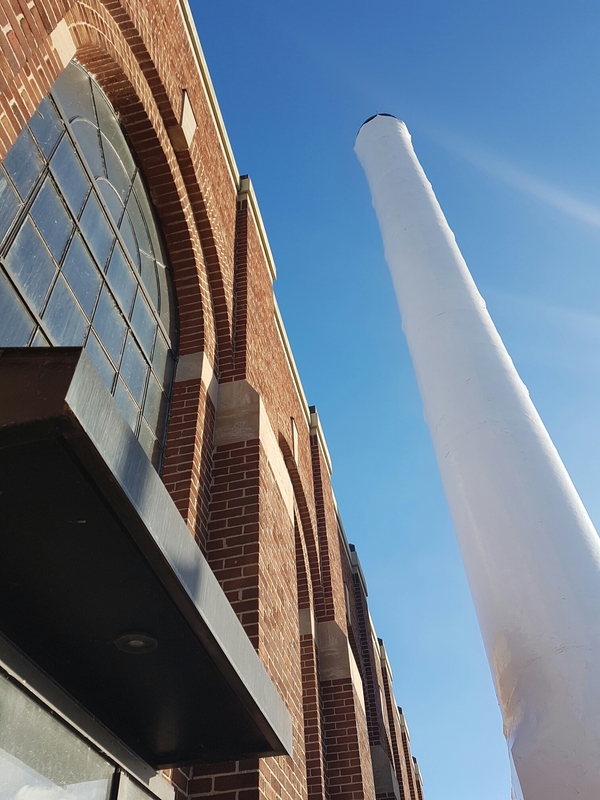 Second, the 1930s Power House, a gorgeous industrial construction, now serves as a recreational centre. There’s a path outside it which floods in winter to create a skating trail. When a place ceases to functiom under its original purpose or even exist at all, the narratives associated with it risk being lost. The potential for story-telling is diminished. With the Lakeshore Psychiatric Hospital, there is fortunately a movement towards commemorating this important site. 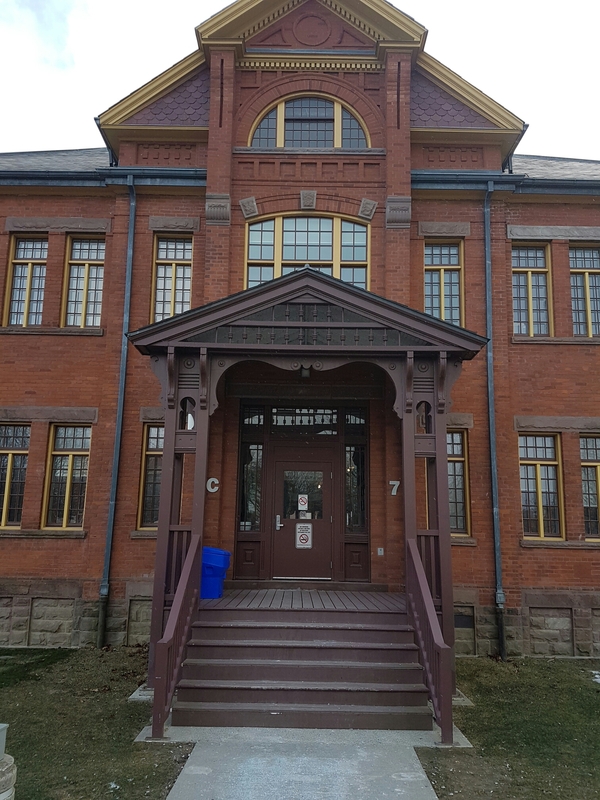 Asylum By the Lake compiles the history of Mimico Asylum, offering insights into evolution of uses in the built heritge as well as great archival maps and images. It also tells the stories of some of its patients, which is the main focus of the Lakeshore Asylum Cemetery Project. 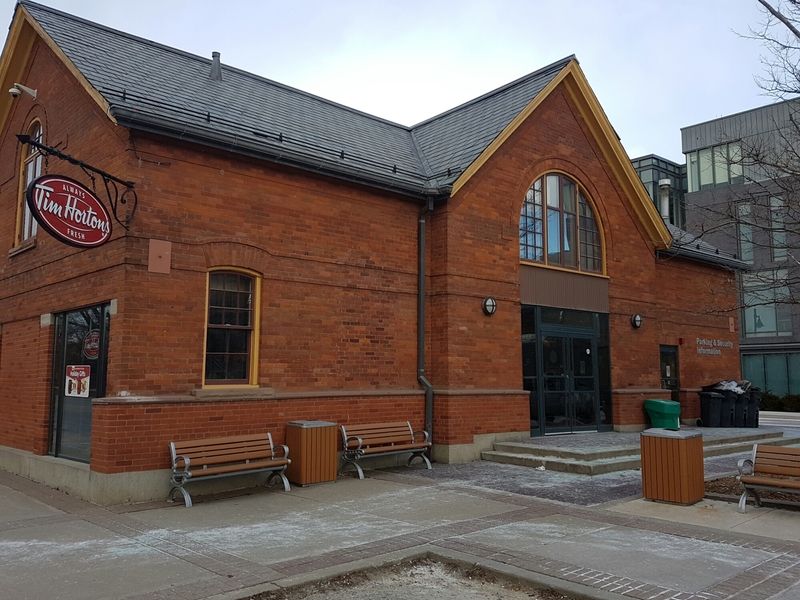 Heritage Toronto recognized the work of the LACP’s volunteers in maintaining the property, which is located off Kipling Ave on Evans Ave, with a Community Heritage Award. 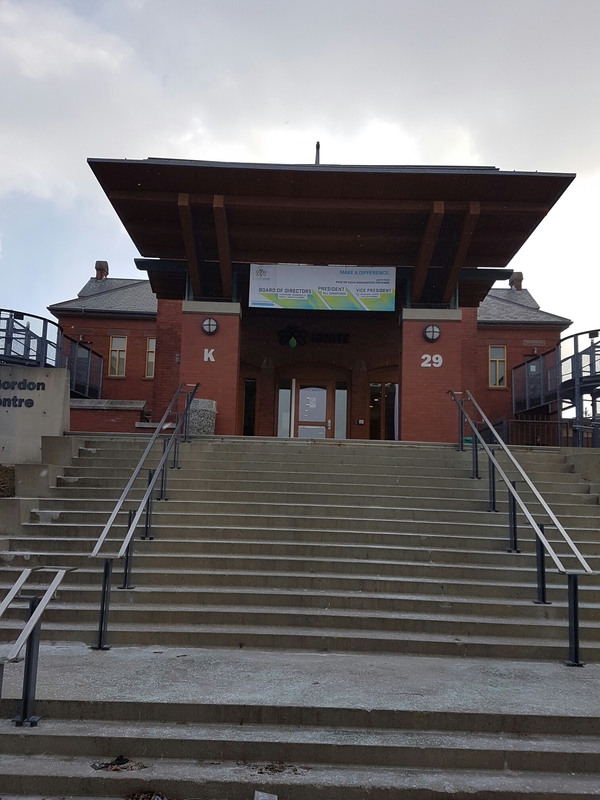 Similarly, the Lakeshore Grounds Interpretive Centre, located in the Welcome Centre, has mandate to uncover (or rather recover) and present the Asylum’s lost narratives. The organization has hosted fascinating tunnel tours of the hospital grounds. 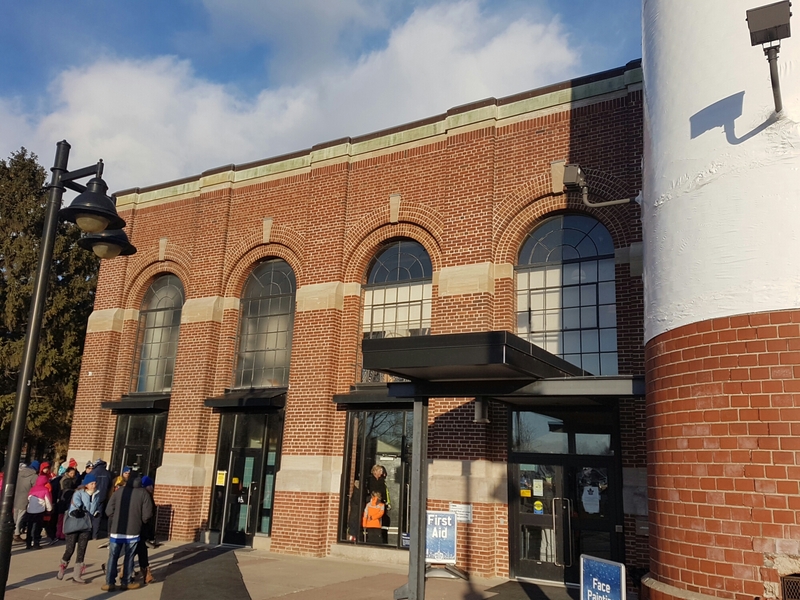 Lakeshore Grounds’ Behind the Walls exhibition looks like an excellent interpretive endeavour.